According to the statement dated Tuesday, the NEC called on “relevant institutions” to take action against users that it claimed falsely questioned the neutrality of the body. 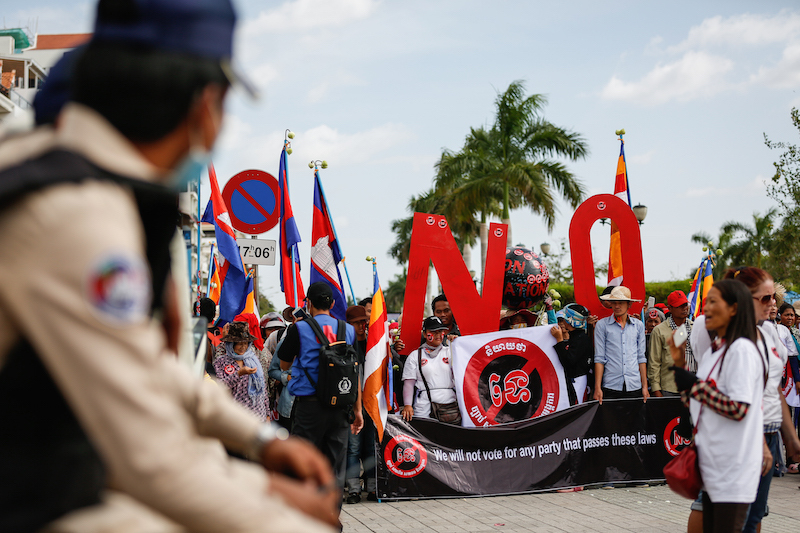 “Recently, the NEC has seen that some social networks (KM Khmer, Real News…) have disseminated inciting news to dishonor the [NEC] by saying that it is under the control of foreigners” and that questions the body’s count of voter turnout. It was not immediately clear which posts drew the ire of the NEC, which became a bipartisan committee in the wake of the disputed 2013 election after decades of accusations that it carried out the CPP’s bidding. On June 9, the popular Facebook page “KM Khmer” posted photos of Mr. Puthea talking to reporters alongside a screenshot of election results from both the NEC website and a form showing election results for a commune in Kompong Cham province. 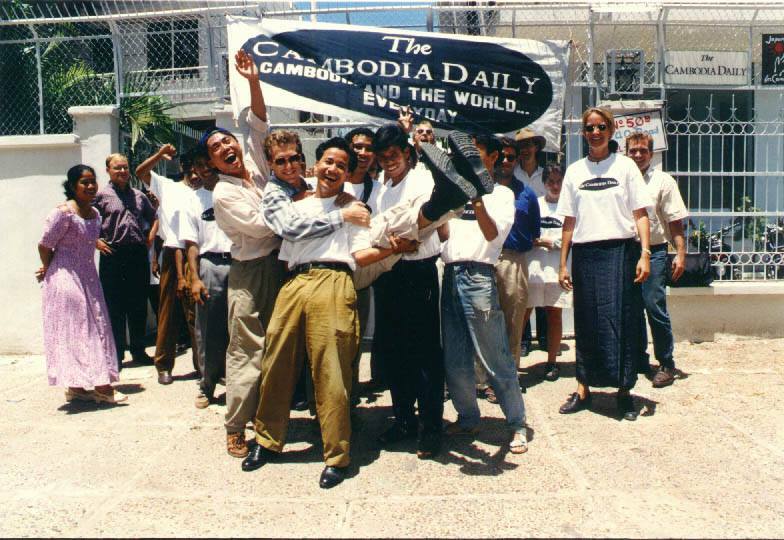 The former showed the tiny Beehive Social Democratic Party winning; the latter indicated the CNRP took the commune. Reached over Facebook Messenger, an administrator for the page stopped responding to questions after seeing the NEC statement. Civil society members gave mixed reviews on whether the NEC was protecting itself from libel or adding to a mounting crackdown on cyberspeech. 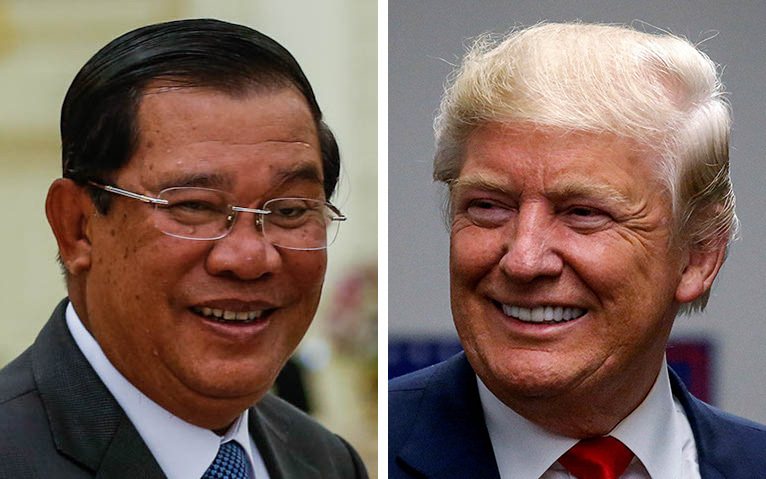 Sam Kuntheamy, head of the Neutral and Impartial Committee for Free and Fair Elections in Cambodia, said the body had a right to take action so “they don’t lose face” since the posts were not true. Sotheara Yoeurng, the law and monitoring officer at the Committee for Free and Fair Elections (Comfrel), said the NEC had the “absolute right to sue or initiate criminal action” if it had truly been defamed. Asked if his attitude would imperil Comfrel, which has been critical of the NEC in the past, Mr. Yoeurng said his organization was safe because its criticism was backed by solid evidence. “It’s hard to say [whether] the posters expressed their opinion with good intention or bad intentions, but…this could cause damage to the NEC’s reputation while they are trying to do things better,” he said. 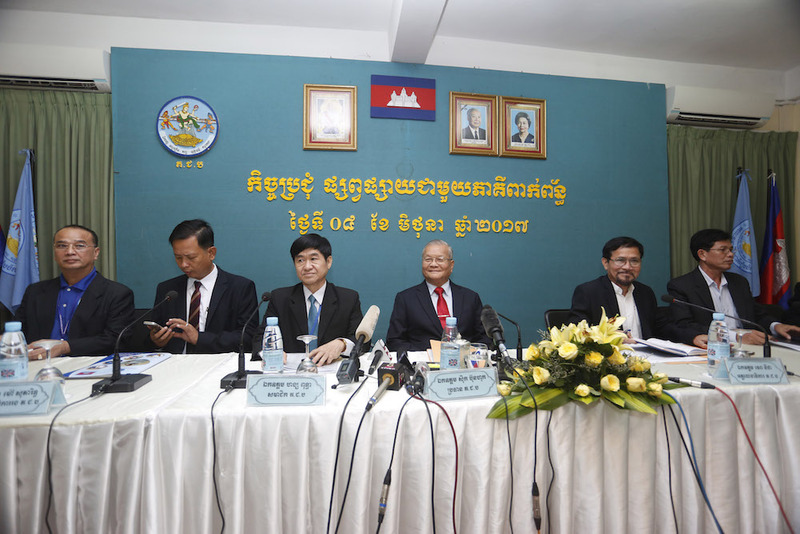 But the NEC would improve faster if it took public criticism in its stride, according to Moeun Chhean Nariddh, director of the Cambodia Institute for Media Studies. If legal action was pursued, the cases would add to a worrying number of others against Facebook users who were slapped with jail time after posting content deemed threatening or inciteful, according to Mr. Chhean Nariddh.